← To France & back again! 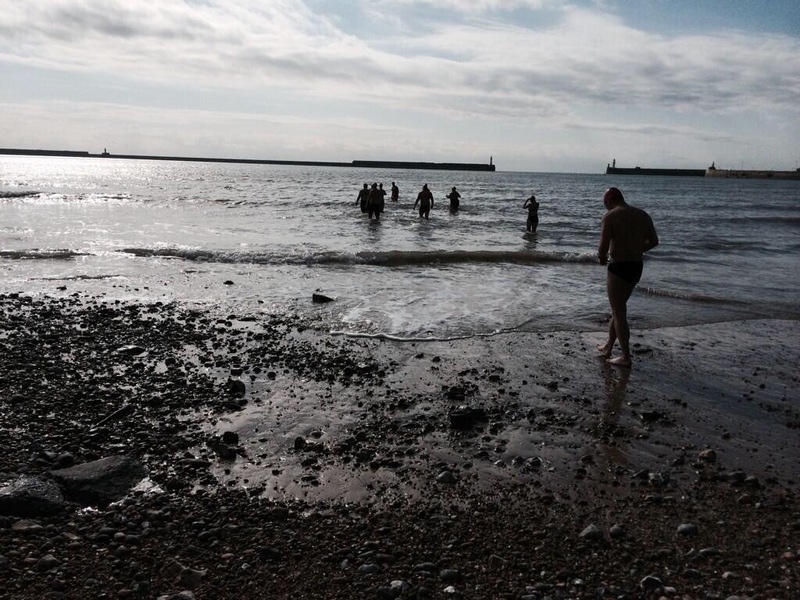 This weekend saw me start my cold water training/acclimatisation training. 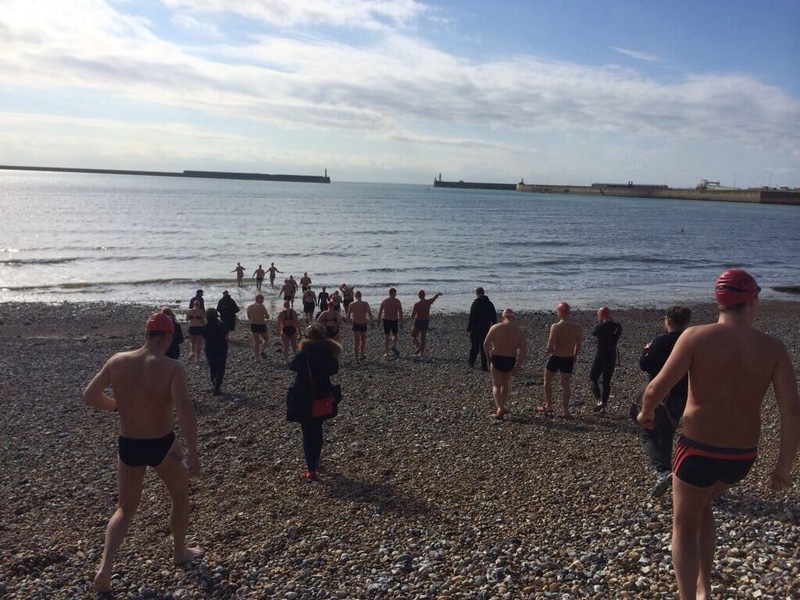 Having grown up in the UAE the thought of cold water always fills me with dread and as I drove down to Dover on Saturday for the start of the Dover channel training season there was no exception! The Dover beach training sessions are run by Freda who every Saturday, Sunday and Bank Holiday Monday is down there without fail with a small crew who come down voluntarily and help Channel swimmers (both relay and solo) to try to fulfil their dreams/ambitions. 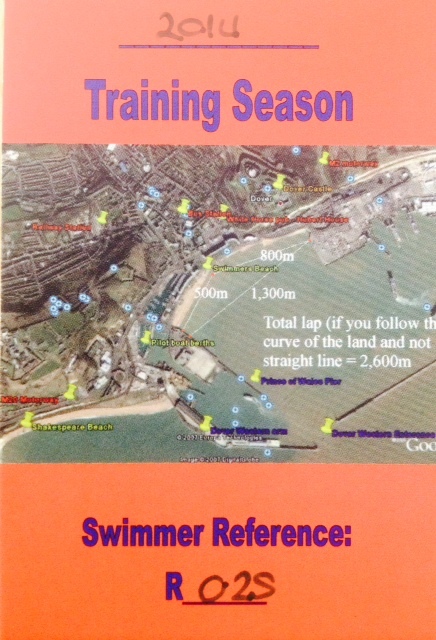 As some of you know not only am I training for the 2 way relay this year but also a solo swim across the English Channel in 2015 so I made the decision this year to train with the solo swimmers (aka red caps) instead of the relay swimmers (yellow caps) although I will train with my 2 way relay team whenever they are down in Dover. Solo training starts at 9 am every weekend and you are never quite sure what Freda is going to make you do – all part of the training surprise. On Saturday we had the task of a 45 minute swim with an hour break followed by a 50 minute which in normal temperature water isn’t a huge task… in 11.4 degrees not so much fun! As I walked into the water I could already feel my skin burning from the cold (remember no wetsuits are allowed for official channel crossings), as I started swimming and put my head in the water I just kept getting the worst ice-cream headache so I chose to swim breaststroke for a minute or two and then off I went. The first 5-10 minutes was tough going but as I got into my stride then it was fine. Once we got out of the water and warmed up with lots of warm layers (big winter parka jacket did the job) a quick visit to Starbucks (unlike me to drink a hot drink but much needed) and then off we were back in the water. Luckily second time round the ice cream headache took a little less time hanging around and I got into my frontcrawl a lot quicker. I did a 50 minute swim in Brockwell Park Lido on Monday afternoon where the water was a balmy 15.6 degrees, the Channel rarely gets warmer than 16 so a good training temperature so a few more trips there planned whilst I wait for Tooting Bec Lido to open to the public. Although I wasn’t looking forward to it, it was certainly a good step psychologically to start the season so early on in the cold water – it only gets warmer from here! 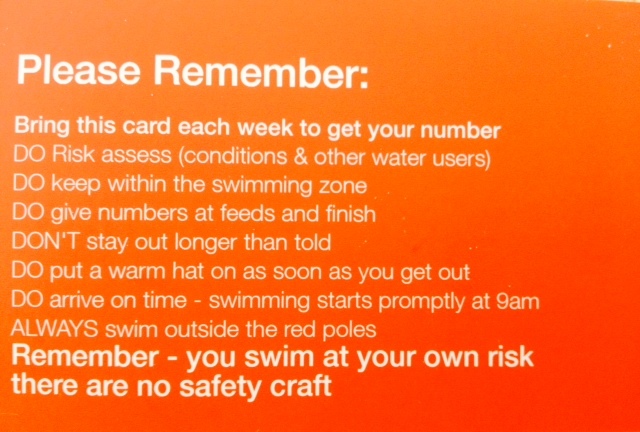 This entry was posted in General, Swimming and tagged Brockwell Park, cold water, Dover, English Channel, Lido, swimming. Bookmark the permalink.